Cutting technologies have been widely applied in the manufacturing of airplane, automobile, medical, energy, and information industries. Cutting operations are generally evaluated in terms of material removal rates and surface quality. Materials science and engineering has also made significant progress in improving material properties. Therefore, scientific research should be conducted to achieve high performance when working with difficult-to-cut materials such as nickel-based super alloy. Because the manufacturing of products with complex shapes in various industries requires multi-axis machining, the cutting operations should be managed efficiently through controls, simulations, and monitoring. – Modeling the tribological aspects of the tool face–workpiece interface during the cutting process. – Cutting mechanics in advanced cutting operations. – Tool wear and coolant supply in cutting of advanced materials. – Cutting processes for hard materials to improve cutting performance. – Fixturing, chatter suppression, and tool path generation to control cutting processes and operations. 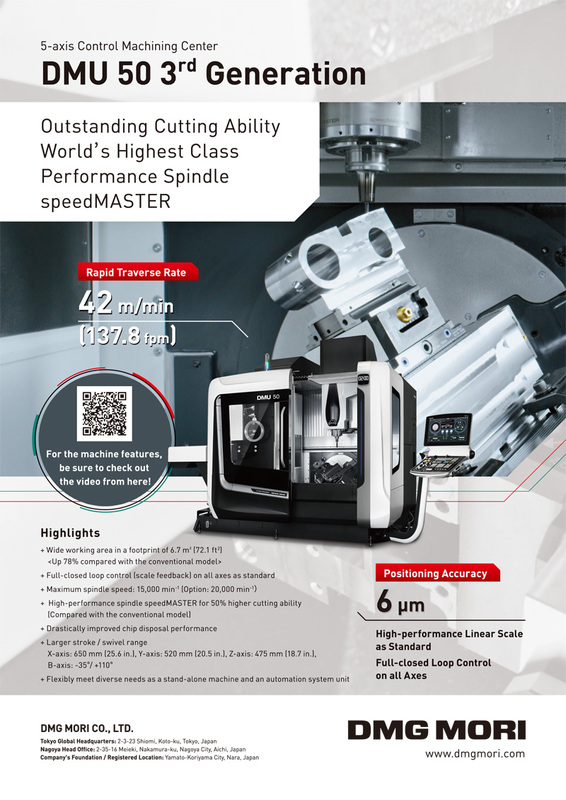 – Surface characterization and modeling to control product quality in multi-axis machining. I hope this issue will be helpful for readers to understand cutting processes and improve the cutting operations. T. Matsumura, “Special Issue on Advanced Cutting Science and Technologies,” Int. J. Automation Technol., Vol.13, No.1, p. 5, 2019.